Davis, (21-0, 20 KO) had no problems utilizing his speed and power against Ruiz, who actually landed a decent right hand prior to catching a straight left from Davis that set the tone for what then occurred; David brushed off the shot and threw a right-left-right combination that sent Ruiz onto one knee in what was a delayed reaction. 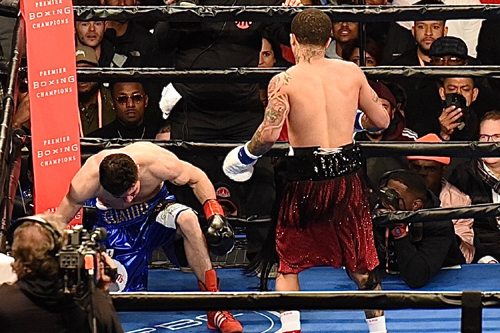 Replays showed a solid right hand to the head that sent Ruiz down. 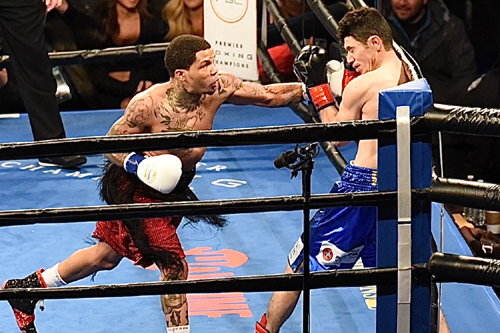 The Baltimore product was originally set to face former champion Abner Mares, who became forced to withdraw due to arm and eye injuries. 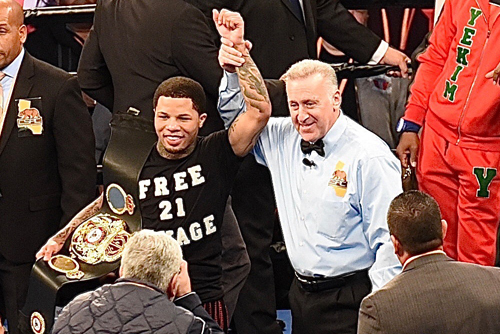 Ruiz was stepping up in weight and applauded Davis after referee Jack Reiss waived off the bout at 2:59 of the first frame. 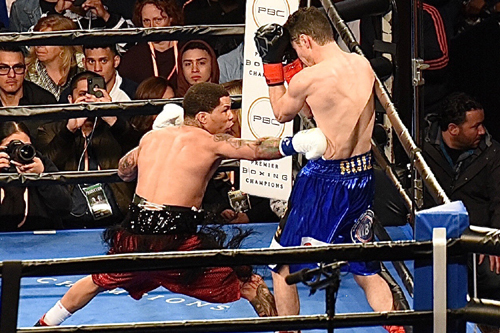 Ruiz beat the standing eight count, but Reiss saw it fit to call a halt to the bout, as Ruiz showed signs of a fractured nose and did not respond well when asked if he wished to continue. “Tonight I just wanted to put on a great performance. I was scheduled to fight Abner Mares, but he had an injury so my main goal tonight was to make a great performance, which I did." The fight was the first boxing match since the Stub Hub Center was renamed to the Dignity Health Sports Park. The venue has undergone multiple name changes in addition to hosting multiple Fight of The Year matches. 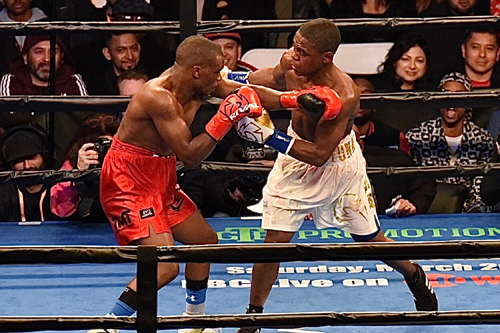 Lightweight Sharif Bogere drops a ruggedly fought 10 round decision to Javier Fortuna. 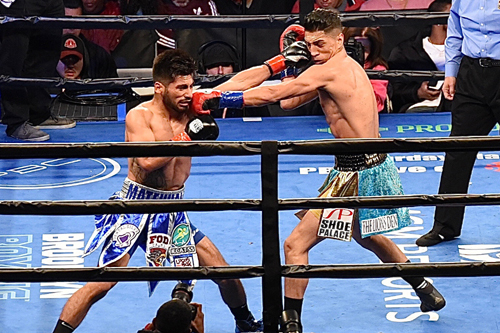 Welterweight Mario Barrios KO’d Richard Zamorain the 4th round.